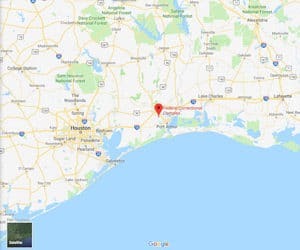 Location: FCI Beaumont Medium is located on the Texas Gulf coast, about 90 minutes from Houston. Background: FCI Beaumont Medium was opened in 1999. It is part of the Beaumont Federal Correctional Complex (FCC). The facility, as with USP Beaumont is known as “Bloody Beaumont” due to commonplace violence. Health Services: Health services include sick call, eyeglasses, emergency medical treatment, physical examinations, medications, immunizations, and dental care. Over-the-counter medications are available at the commissary. Inmates are assigned a specific health care provider who treats them for the duration of their stay. In order to be evaluated for a medical complaint, inmates must submit a triage form. Emergency medical care is available 24 hours a day. Psychology Services: FCI Beaumont Medium provides intake screening to inmates upon arrival. The psychology staff offer treatment programs addressing a full range of clinical disorders, providing self-help options, assessing and treating behavioral and emotional problems, and facilitating overall adjustment. A variety of group therapy programs are offered, including anger management, criminal thinking, and others. Residential Drug Abuse Program (RDAP): FCI Beaumont Medium houses a Residential Drug Abuse Program (RDAP). It also provides a drug abuse program, a Drug Abuse Education Course, and the Non-Residential Drug Abuse Program (NR-DAP). Education Services: FCI Beaumont Medium provides literacy, GED and English-as-a-Second Language (ESL) programs. By policy, with minor exceptions, all federal inmates who do not have a high school diploma or GED must enrol in the literacy program. High school diplomas and post-secondary programs are available through paid correspondence programs. Advanced Occupational Education: FCI Beaumont Medium offers advanced occupational education in HVAC, Advanced HVAC, Advanced Microcomputer Office and Administrative Applications, Building Trades, Culinary Arts, Major Appliance, Microcomputer Applications, and Small Business Management. Vocational Training: FCI Beaumont Medium does not offer vocational training aside from its advanced occupational education and apprenticeship programs. Apprenticeship: FCI Beaumont Medium offers apprenticeships in Carpentry, Electrical, HVAC, Painting, Plumbing, and Teacher Aide. Library Services: A law library is located in the Education Department, containing a variety of legal reference materials for use in preparing legal papers. A copying machine is available to reproduce materials needed for research. Electric typewriters are also available for inmate use. Inmates can check out fiction and nonfiction books, newspaper, and magazines from the leisure library. UNICOR: The UNICOR at FCI Beaumont Medium produces clothing and textiles. Commissary: Inmates at FCI Beaumont Medium are allowed to spend up to $360.00 each month on items such as food, beverages, clothing, shoes, and limited electronics. Copy cards, postage stamps, and over-the-counter medications do not count against the spending limit. Inmates are allowed to shop once a week on their assigned day. Recreation Services: The FCI Beaumont Medium Recreation Department consists of both indoor and outdoor areas. Activities range from individualized arts and crafts programs (e.g. painting, drawing, leather craft, etc.) to intramural team sports such as softball, basketball, volleyball, flag football, and Frisbee.